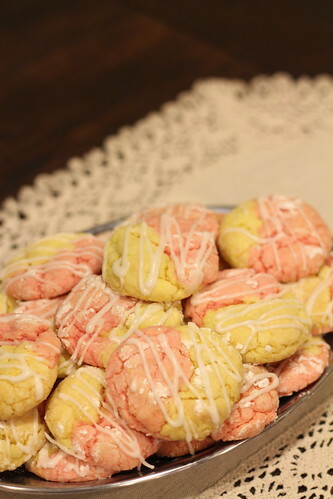 These cookies are the perfect little springtime treat. They're easy to make and pretty cute too! 1. 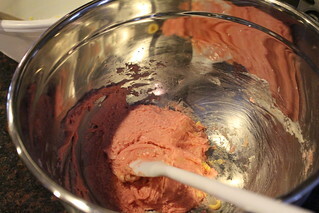 Put each cake mix in a large bowl. 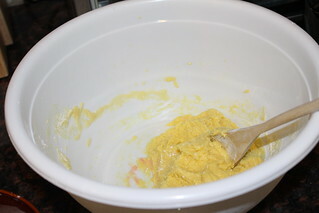 To each bowl, add 2 eggs, 1/3 cup oil, and 1 tsp lemon juice. Mix until combined. 3. 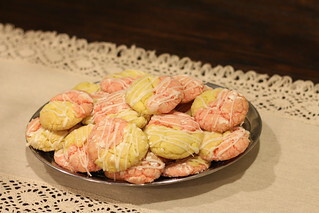 Form cookies by taking a piece of each dough and rolling into a ball. 4. Put 1 cup of powdered sugar in a bowl. 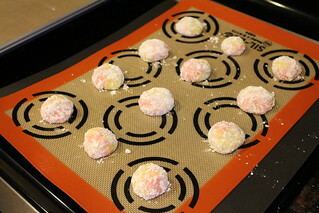 Roll each dough ball in the powdered sugar before placing on a baking sheet. 5. Bake at 375 for 10 minutes, or until cooked through. Cool on a wire rack. 6. 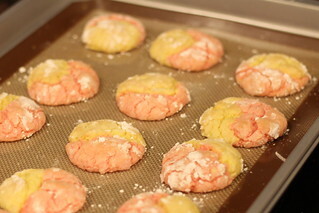 When cookies are cool, make a glaze by whisking together 1 cup powdered sugar with 1 tbsp milk until combined. Add additional milk if necessary to reach desired consistency. 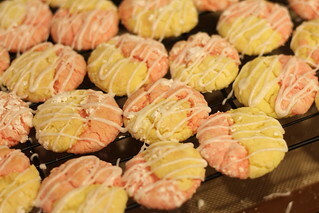 Drizzle glaze over the cookies.